We have a great range of Wakatere clothing available to purchase online on our website. Everything from hats, t shirts, rash shirts through to bags, hoodies and wet weather jackets all from Events Clothing - NZ's premium marine clothing supplier. With the Starling and Opti Nationals coming up, March is the time to place your order so all our sailors and supporters are looking smart in their club clothing. Choose from the extensive range with the Wakatere logo to create a uniform look. 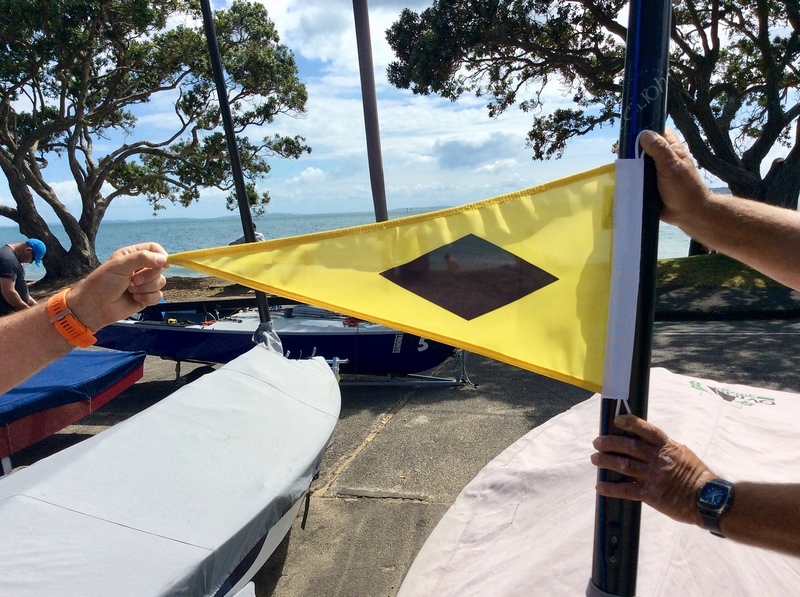 For those with support boats, we also have club burgees so you can literally fly the club flag. Please choose carefully as all orders are custom orders. Also note the size charts alongside clothing items are specific to that item - different charts for different items. The shop is set up for PayPal (M/C, Amex or Visa). Look for the word SHOP in the website main menu then login to proceed with the sale. The shop will close 9pm Sunday 24th March with orders ready two weeks after that. * the shop is now closed for orders.